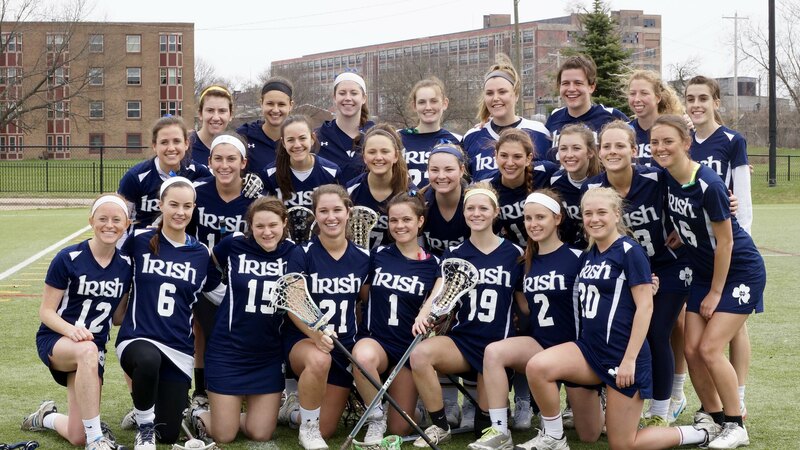 Women’s Club Lacrosse is a new competitive club team for Notre Dame women who wish to continue playing lacrosse in college. Our players have experience playing in high school, but all skill levels are encouraged to try out. We have an informal fall season with weekly practices and a couple tournaments. All interested players are welcome to participate in the fall. The spring is our main season and when we hold tryouts. We practice twice a week for two hours and have a full game schedule beginning after spring break. We compete in the Central Division of the WCLL against other universities and colleges in Illinois, Indiana, Ohio, and Michigan. Any questions about the club should be directed to ndwlax@nd.edu. To learn more or join the Women’s Lacrosse Club, please contact the officers listed below, or email the Lacrosse Club at ndwlax@nd.edu.